Outstanding customer service is our top priority. 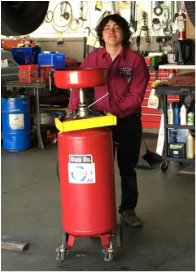 We strive to earn your business by building a relationship with you and your vehicle, providing quality and professional automotive repairs. 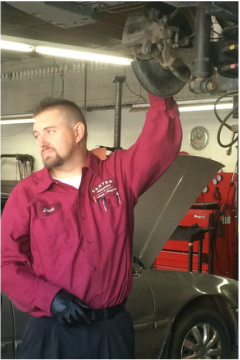 Denny Mandeville is owner and lead technician of Canyon Automotive Repair & Service. 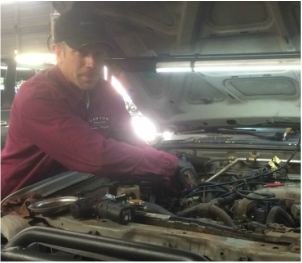 His credentials and certifications span a career of over 40 years in the automotive repair industry. In 1976, he was awarded a certification of Automotive Service Excellence (ASE). He was also the recipient of the NAPA/ASE Automotive Technician of the Year in 1999, with several nominations before and since. Hi, I'm Denny's puppy, Tucker! Well, I'm not really a puppy - I'm 7 - but I still feel like a puppy! 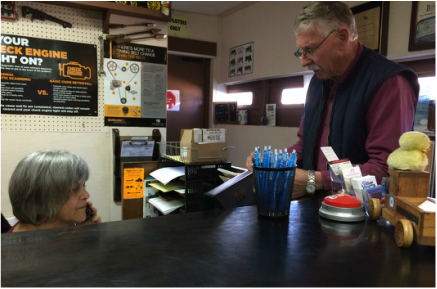 Most days, you'll find me hanging at Canyon Automotive Repair & Service with my daddy - either playing with Marsha, bugging the technicians, hunting for Vita-Bones, or sleeping under Daddy's desk. My best dog friend, Rowdy used to hang with me at the shop, but now he's in doggie heaven because he accidentally ate raisins. I love to play Frisbee/catch and love other dogs, but because I'm a Border Collie, sometimes it takes a while for me to trust humans I don't know really well. So if you see me at the shop, feel free to say 'Hello', but be sure to stay away from my face so that I don't get scared and nip at you by accident. Keep those hands where I can see 'em! Ha. With over ? years of office experience, Marsha Marcy knows how to run a desk. She delivers solid customer service on a daily basis, thoroughly explaining services and providing a (warm?) environment.